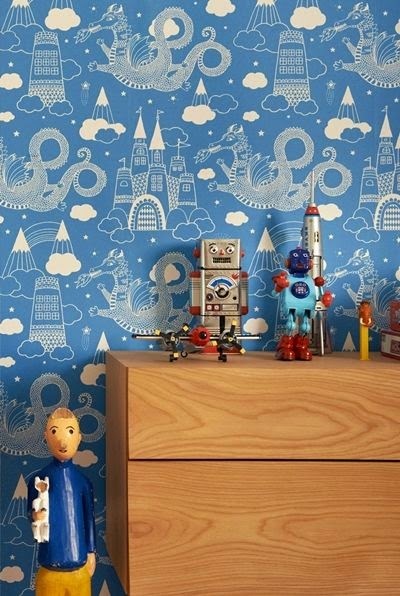 Dragons and knights wallpaper is brilliant! 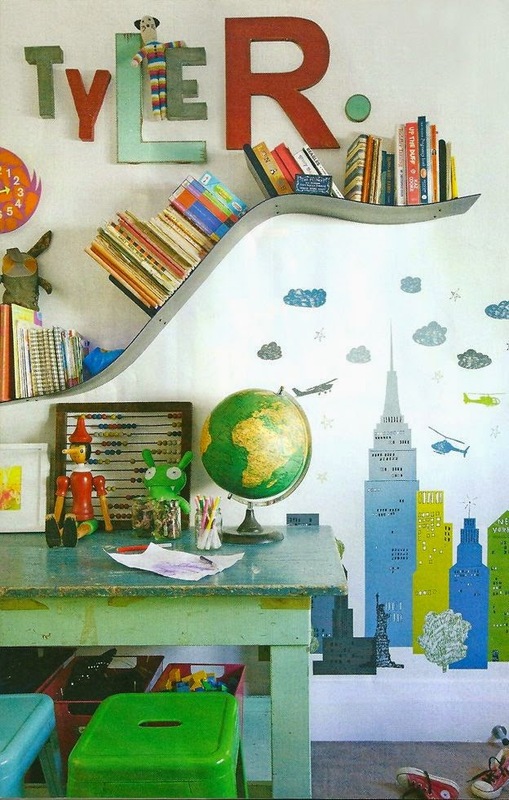 Not sure what I prefer more on this one, the cityscape decal or the bending shelf! My toddler would love this truck one. 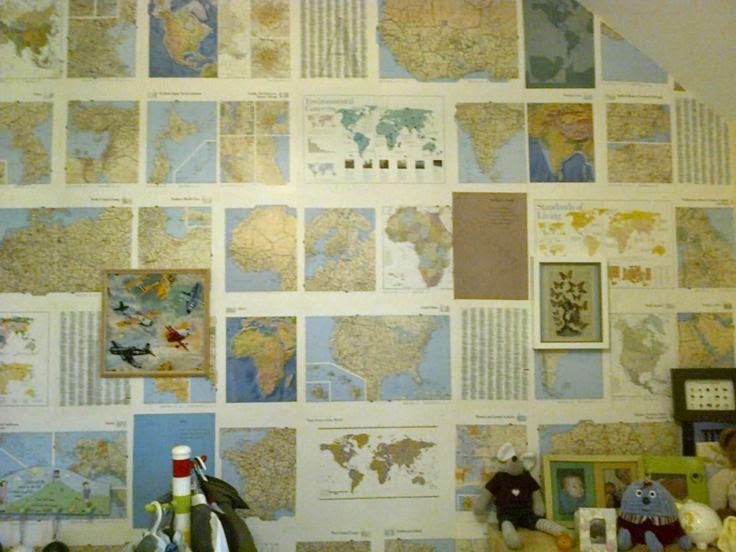 This is my toddlers map wall. 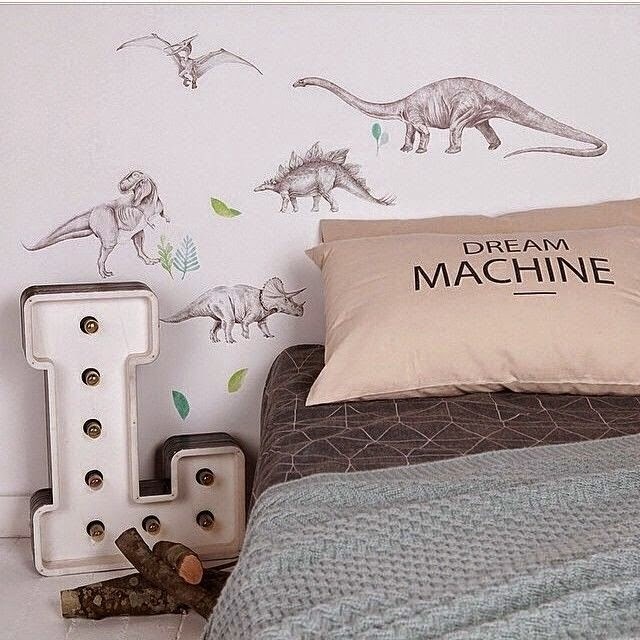 His room is nearly complete, its the turn of my eldest son for a room makeover. 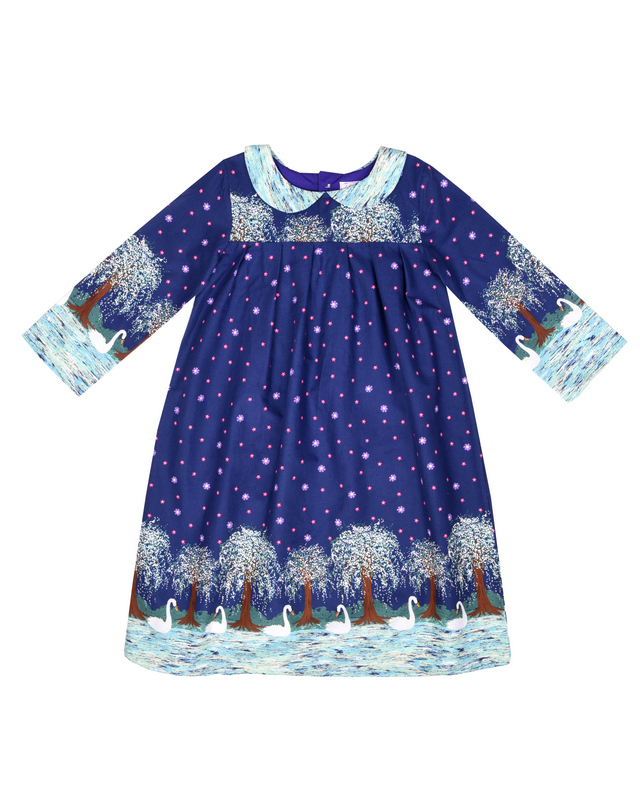 Love this one from paper boy in the UK, comes in many colour ways. 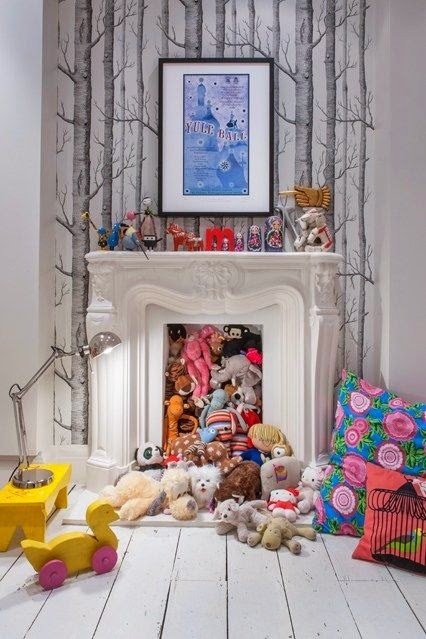 Love the teddies spilling out of the fireplace. For House and Gardens magazine. 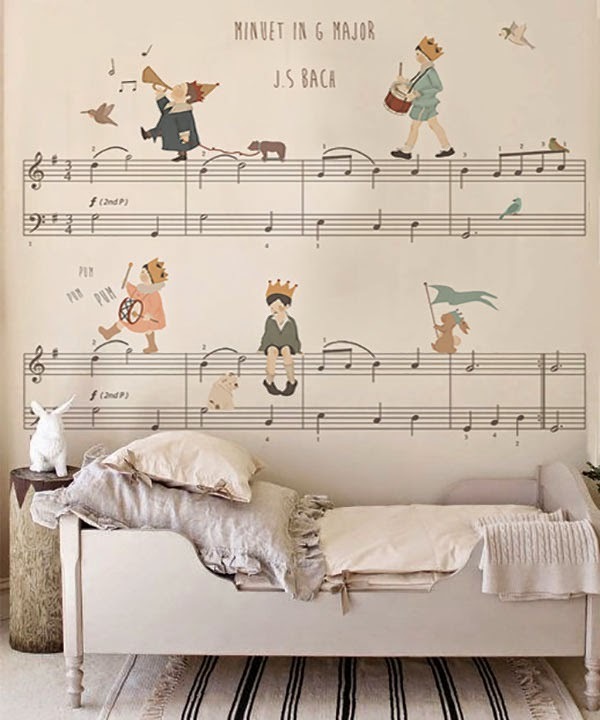 Gorgeous soft colour palette here. There is so many to choose from. 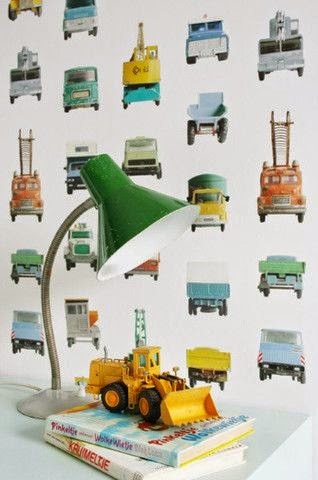 I have bought from wallpaper direct.co.uk in the past and found them to be excellent, they have a great selection. Now which one to pick!